If you are working on some kind of IoT project or got your hands on the multifunctional small computer –Raspberry Pi, then you might want the best & lightweight Linux operating system for your Raspberry Pi. The Raspberry Pi 3 kit is the upgraded version of Raspberry 2 & 1. Out of the box, the Raspberry Pi does not have any operating system. Some top Raspberry kit comes with pre-installed NOOBS which is an OS manager and lets you easily download and install Raspberry Pi OS on the Pi devices. You can also install the NOOBS manually. Theses Linux based Operating systems also helps to integrate the Raspberry Pi with dozens of best IoT platforms to collected data or creating some smart gadget. Moreover, if you just using the Raspberry Pi for learning then these OS can convert the Pi into small powerful full-fledged Linux Personal computer. You don’t need to search the internet to find out some best Raspberry PI 3 OS because we already have done this for you, go ahead and just try! We have divided this list into three sections 1) Best OS category, 2) Available Linux OS for Raspberry Pi other than our best ones, 3) Media centre OS for Pi, 4) Audio OS for Raspberry Pi, and 4) Retro programming OS for Raspberry PI. 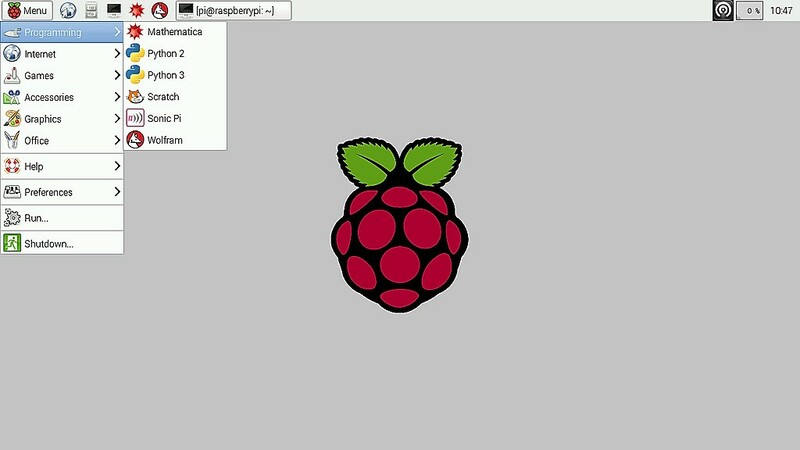 Raspbian is the official operating system specially created for Raspberry Pi. The Raspbian Raspberry Pi OS is developed, maintained and distributed by the official Raspberry Pi organization. Raspian is the Debian based Linux Os. It specially optimized for the Raspberry Pi and comes with the Graphical user interface, so that a newbie can also operate it easily. If you are working on IoT platforms and thinking to use Raspberry Pi to collect some data from sensors or building some IoT project then the Raspian Distro is one of the best. You can also install the NOOBS which already contains the Raspbian, moreover, it gives a menu option to install and download third-party Raspberry Pi OS too. 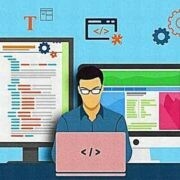 For programming, it has Python, Scratch, Sonic Pi, Java, Mathematica and more. Also has productivity software like email client, office and more. Snappy Ubuntu Core is developed by Ubuntu for Raspberry Pi 2 or 3 Kits. It is cloud-based and before installing the Snappy, you need to create an Ubuntu One account. The Ubuntu One account is the single account that can use to log in to all services and sites related to Ubuntu. This Raspberry Pi OS is very light because it is focused on cloud and the perfect host operating system for IoT devices. The installation and uninstallation of apps is much simple than the Ubuntu MATE. Ubuntu Core wide range of Hardware supports SoCs and single-board computers, 32-bit ARM Raspberry Pi (2 & 3), 64-bit ARM Qualcomm Dragonboard and Full range of Intel’s IoT SoCs. Windows 10 IoT Core is the Microsoft property and doesn’t base on Linux. But it is worth to mention here. This Raspberry Pi OS is a stripped down version of Windows 10 and optimized for smaller devices with or without display. It integrates with Visual Studio and posses similar Windows 10 look like graphical user interface. It runs on both ARM and x86/x64 devices. Windows 10 IoT Core uses Universal Windows Platform (UWP) API for IoT solutions. This operating system gives a familiar interface and also tools to create IoT solutions outside the Linux environment. Universal Windows Platform (UWP) API allows you to write one application and use it on phone or desktop. Android things for IoT development is an embedded version of the Android operating system for Raspberry Pi 3. To install this operating system you need at least 8 GB or larger microSD card. Support Bluetooth Low Energy and Wi-Fi. Step By step guide available for installation. RISC OS for the Raspberry Pi is another smallest size GUI based Linux Operating system for Pi. The Size of OS is just 119MB and supports all Raspberry versions such as Pi Zero, Pi 1, Pi 3, plus all versions of Pi 2 and Compute Module. It also offers a minimized version called RISC OS Pico that’s just 3.5 MB in size meant for 16MB FAT-formatted SD cards. It is not a Linux based operating system instead of that it is run on BBC Microcomputer system. It can also be used as a file server. The Pi hackers and modders should have given one try to this Raspberry Pi OS. Standard version needs 2GB SD card and Lite required at least 16MB. Also offered pre-installed RISC OS microSD cards. The Fedberry is advance Linux based operating system for Raspberry Pi and giving tough competition to the Raspbian OS. This Raspberry Pi operating system is based on Fedora and a remix version of original Fedora desktop version. Basically, it is an optimized version of Fedora Remix. Required SDcard capacity of 2GB or more. Provide software for a specific interest group, like artists, musicians, software developers, educators, craftsmen, etc. PiNet is a server operating system that can centralize the files storage and user accounts. On RaspberryPi’s official website it is mentioned as Raspberry Pi classroom OS but you can modify and use it to centralize your own project needs. It is meant for schools where the Raspberry Pi can be used to store the student’s user accounts on the central PiNet server. This means they can log in on any Raspberry Pi in the classroom and no more trying to figure out which SD card belongs to which student. SARPi stands for the Slackware ARM on Pi. It is one of the best Raspberry Pi Operating Systems maintained by the community of Slackware Linux. It is easy to use Linux operating system even if you are not very familiar with Linux. Detail step by step guide is available on its website for how to install and use Slackware ARM on Raspberry Pi. You need 8GB SD card to install and use this Pi OS. This Raspberry Pi OS is not meant only for programming or IoT but can also convert you Pi device into a home media server. It provides rich media server features and simple but intuitive graphical user interface. It supports all versions of Raspberry Pi— 1, 2, 3 & Zero. It is based on Kodi but with easier functionalities, if you are looking for a Kodi alternative for Raspberry Pi then you have to give it a try. It supports almost every type of media files. 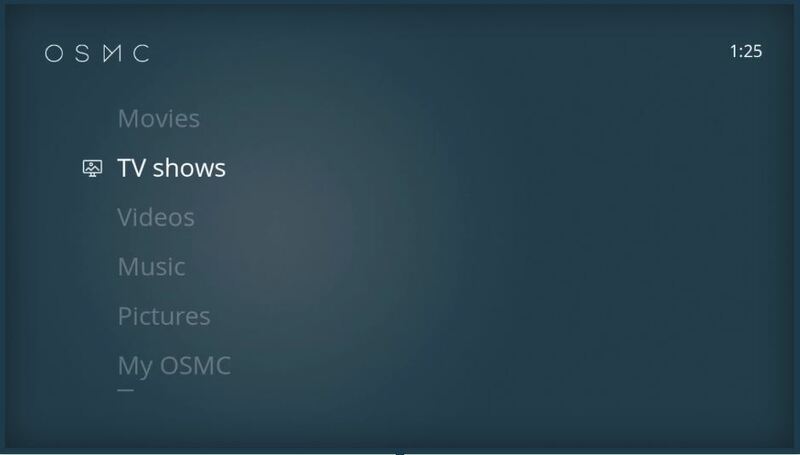 OSMC Media centre is also available for Linux, Windows, Mac OS, Vero and Apple TV. FTP, SSH, Samba Sharing, etc. SUSE Linux Enterprise Server for Raspberry Pi is an optimized package of SUSE Linux Enterprise Server for Raspberry Pi 3 Model B. It provides the SUSE server SP2 pack. Free, one-year self-service subscription for updates and fixes. Ubuntu MATE is another Raspberry Pi OS from Ubuntu after Snappy Ubuntu Core and meant to run on Raspberry Pi 2 and Raspberry Pi 3. It is based on regular Ubuntu and support apt-get. 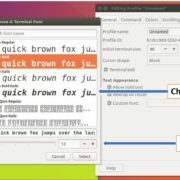 It is simple and supports some essential apps such as Text editor, office, system monitor, terminal and more… As compared to regular Ubuntu this one is specially optimized for Raspberry Pi and also can run some useful applications such as LibreOffice and Firefox. But the low I/O speed of microSD cards can create congestion that’s why developer recommend using class 6 or class 10 microsSD card with this Raspberry pi os. To install MATE you need 6GB or greater microSD card. Ubuntu MATE 16.04 also fully supports the built-in Bluetooth and Wifi on the Raspberry Pi 3 and features hardware accelerated video playback in VLC and hardware accelerated decoding and encoding in FFmpeg. The first boot is quite slow but after completing the configuration and booting might get fast subsequently. Beside above given best Raspberry Pi OS, there are dozens of Linux based Operating system for Pi board. These all are meant for different purposes and to carve out as much as productivity and innovations from the small Raspberry Pi board. If you think that the above given Operating systems are not able to full fill your needs then you have to look these given below Pi OS, maybe one of them meant only for your project. Arch Linux ARM: Highly customizable Arch Linux for ARM processors. 2GB SDcard required for the installation. Chromium OS For Raspberry Pi: The FlintOS is the Chromium Os based polished version for Raspberry Pi 3/B kit. Alpinelinux: NO SD card image directly extract tarball on the FAT32 partition. openSUSE: The tailored down version of Opensuse Desktop version. It is also known as openSUSE Leap 42.3 / Tumbleweed. Gentoo Linux: It is a flexible Linux based Raspberry Pi OS and uses Portage software management to increases security and streamlines performance. MinePeon – A dedicated ARM-based Raspberry Pi OS for cryptocurrency mining. Kano OS: OS for Raspberry Pi, Pi 2 & Pi 3 packed with dozens of code creation projects. Moebius: Lightweight command line based Debian ARM HF distribution. It uses minimal resources and can fit on 128MB SDcard and uses Raspbian repository. Best for coding purposes. OpenWrt – Linux distribution for an embedded device can use as Raspberry Pi OS to route network traffic. Kali Linux – A Debian based popular OS converts the Raspberry Pi into forensics and penetration testing tool. 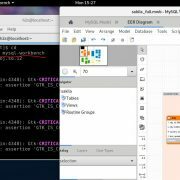 SolydXK – Dutch Linux based operating system for small businesses and Home with Xfce. Instant WebKiosk – Raspberry Pi OS for digital signage purposes. ROKOS – If you are looking for an operating system for Raspberry Pi, zero, 2, & 3 with an integrated client for Bitcoin + Cryptocurrencies Client/Node Support, the ROKOS is for you. Void (Linux) distribution: A general purpose operating system, based on the monolithic Linux kernel. WTware for Raspberry Pi – It is a free thin client operating system for Raspberry Pi 2 and Pi 3. It allows creating a Windows Remote Desktop connection by installing WTware on Pi and displays Windows Desktop and Windows applications running on Windows Terminal Server. Octopi – A Raspbian Pi Os Linux based distribution for 3D printing. Allow sending 3D printing jobs directly using the browser to printing machines. It includes printing, GCODE visualizer, webcam and slicing software. Weather Station: A project by the official Raspberry organization for the Raspberry Pi Oracle Weather station. OpenELEC: Small Linux based Media centre software just like Kodi. LibreELEC (Krypton): It is Linux distribution purpose-built for Kodi and converts the Raspberry into media centre hardware. Xbian: A Kodi based open source digital media center. It provides three different images compatible to Raspberry Pi 1, 2 & 3 and also available for CuBox-i / Hummingboard. Rasplex: A Plex Client for the Raspberry Pi computer. Pimusicbox: A Raspberry Pi Audio OS that allows streaming music player for Spotify, Google Music, SoundCloud, Webradio, Podcasts and other music from the cloud. Runeaudio: Another good embedded OS for Raspberry Pi that converts int into Hi-Fi Music players and also the interface of the OS is very attractive. Airplay, Squeezelite, UPnP renderers and much more. Retropie: It allows you to turn your Raspberry Pi PC into a retro-gaming machine. You can build your personal arcade games or use it as a gaming controller. Recalbox: Recalbox allows you to re-play a variety of video game consoles and platforms. Lakka: DIY open source retrogaming console built on top of the famous RetroArch emulator. ChameleonPi: Old computers, classic games, consoles, and arcade on Raspberries 3 and 2. Piplay: Build your own portable handheld gaming device using Raspberry Pi 3. 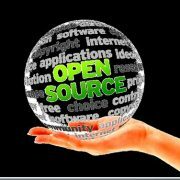 The Opensource world is so vast and if you think I have missed something in this best Raspberry Pi OS list, please let us know.